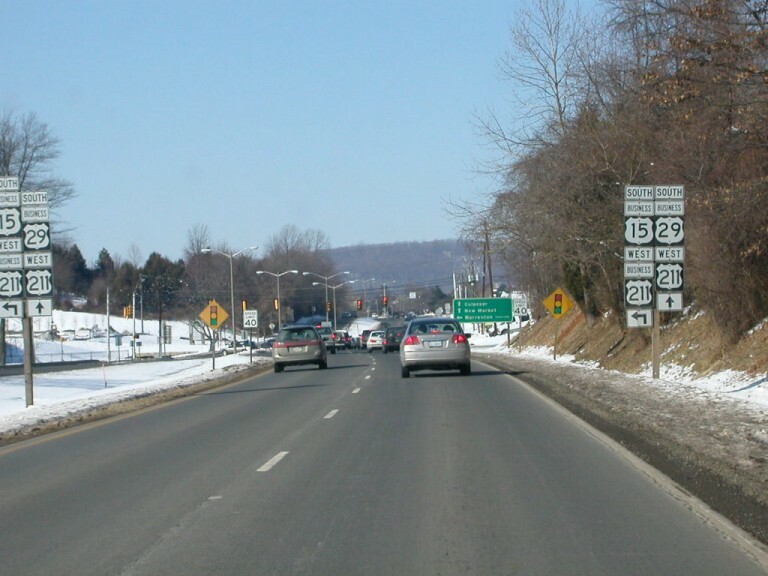 This is the western end of US 211, at the I-81 interchange in New Market. 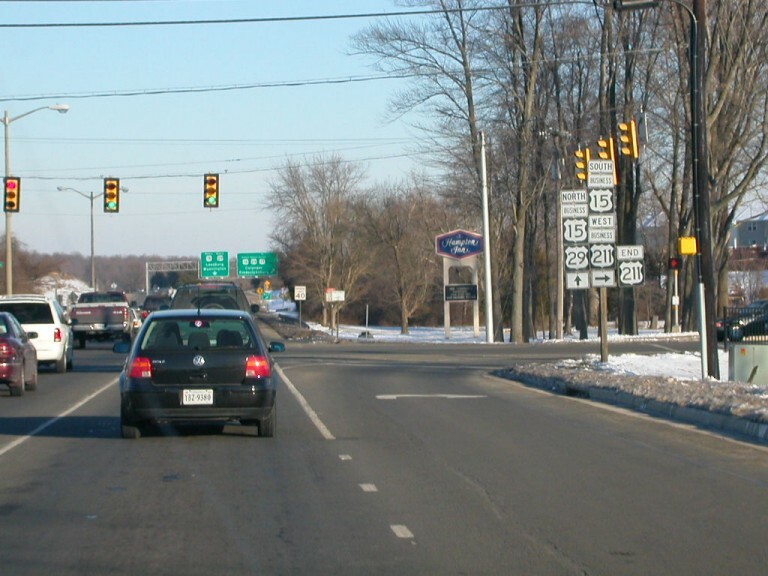 The roadway continues west as VA 211. 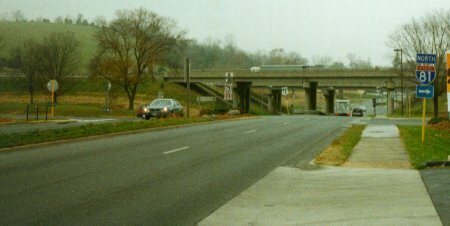 Photo by Adam Froehlig, taken late November, 1999. 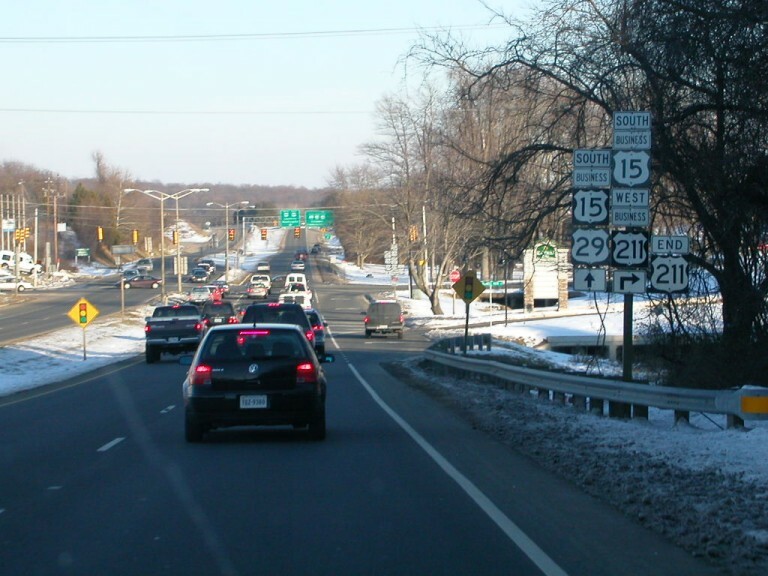 Heading south/west into Warrenton from the US 15/17/29 bypass interchange. 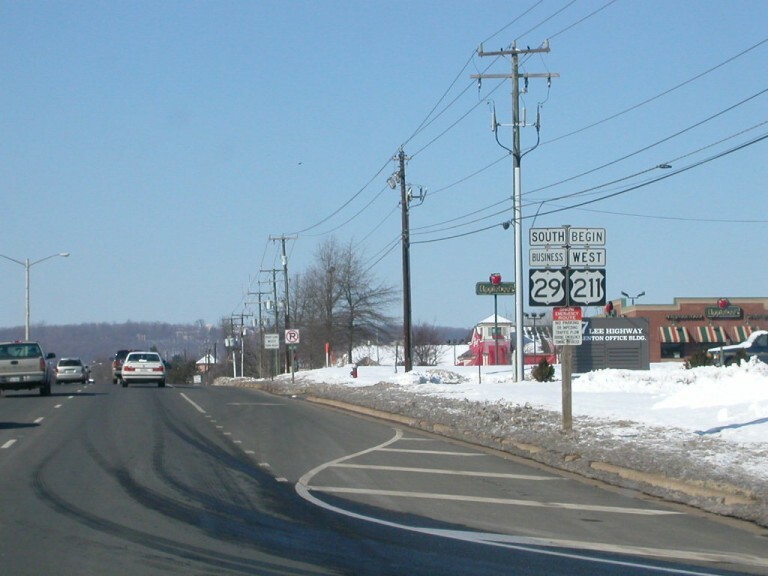 US 211 begins at this intersection, following BUS US 29 through northern Warrenton, while BUS US 15 and BUS US 211 turn south. Photo by Tim Reichard, taken February 8, 2003. A little further down, at the intersection itself, we find a sign goof. It is actually BUS US 15 and BUS US 211 that turn to the left. Photo by Tim Reichard, taken February 8, 2003. Further down, we find a BEGIN US 211 shield. Photo by Tim Reichard, taken February 8, 2003. Looking back to the northeast, we find a rare END shield amongst the signage. Photo by Tim Reichard, taken February 8, 2003. Another set of signage at the intersection itself. 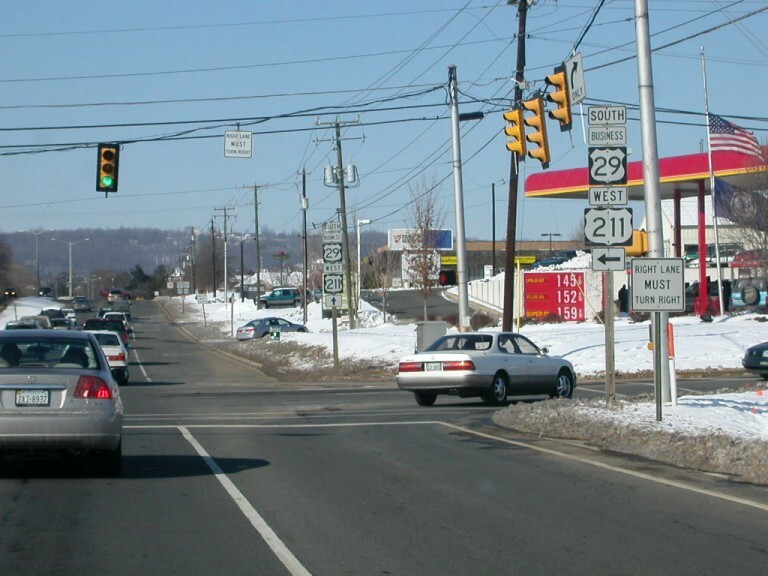 Photo by Tim Reichard, taken February 8, 2003.